As some of you may already know, in this week I am enjoying another birthday. Every year on and around my birthday, I've gotten into the habit of spending some alone time with God to perform a personal audit of myself and digest "The Life of Victoria Anderson," if you will. I conduct an overall assessment of subjects like where I am spiritually, where I spend most of my time, what goals I want to accomplish, how well I've accomplished past goals, and where I have fallen short and dropped the ball, etc. etc. etc. It is a special block of time that I schedule to "just be" with God - to pray over my purpose and path. In these moments of rest and reflection, I ask my King to further reveal to me the specifics of how I can best serve Him and commit my life over to His care in the upcoming year. The #1 objective of my personal audit is to insure that Jesus always remains my center focus and the reigning authority of my world - rather than Him being some afterthought after my own selfishness has dominated and ruled. In this process, I am compelled to re-devote my life to Him. Here, my Savior and I review my prayer list, and I share with my Lord the greatest joys and disappointments I've known over the past year. 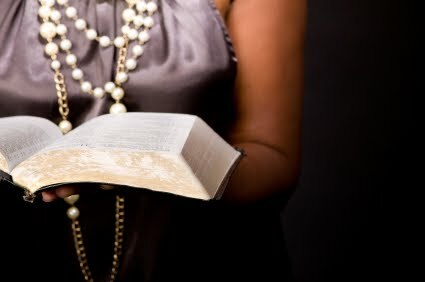 I read and recite meaningful scripture passages studied and/or memorized and meditate on His promised devotion and love. Lastly, I take time to write out what I'm struggling over (where I really need Him most)... and also what I am thankful for (praising Him for His generosity and grace). I make a point to always remember that no matter what I "want" in this life is never more important than what I already "have" in my eternal Christ. I know that His way is the only way for me. Of course, to me a personal audit is not something that can be finished in one sitting. It takes much prayer and reflection, and is forever subject to modification according to scriptural revelation and spiritual governance from my Master. For me, the process of auditing usually takes about two weeks to a month to finish. That said, it seems that I am always revisiting my "life" journal as time plays out and experiences occur. But October (my birthday season) usually ends up being the official time when God and I sit down to discuss and review "everything" going on in my heart. I can't begin to tell you how much I cherish this "Parent/Teacher Conference" with my King. Furthermore, my personal audit is indeed that... personal - between me and God. I rarely have shared details of it with anyone else. In fact, sometimes I am cautious to completely write my hopes and dreams down on a page. For, many of my precious thoughts are quite sensitive for me to even talk (or write) about. Many of my prayer requests are too intimate in nature and emotionally overwhelming that I can't bring myself to put pen to paper to list them. Rather, I simply jot down one or two trigger words as reminders to myself and then leave the rest in my heart for the Holy Spirit to oversee. Anyway, this morning I was continuing through the process of my personal audit, and paused to read a little scripture and some of Charles Spurgeon's writings. Today's entry was so profound to the necessity of my audit, that I decided to share it with ya'll. There are times when solitude is better than society, and silence is wiser than speech. We should be better Christians if we were more alone, waiting upon God, and gathering through meditation on his Word spiritual strength for labour in his service. We ought to muse upon the things of God, because we thus get the real nutriment out of them. Truth is something like the cluster of the vine: if we would have wine from it, we must bruise it; we must press and squeeze it many times. The bruiser's feet must come down joyfully upon the bunches, or else the juice will not flow; and they must well tread the grapes, or else much of the precious liquid will be wasted. So we must, by meditation, tread the clusters of truth, if we would get the wine of consolation therefrom. Ladies, I encourage you to conduct your own personal audit with God. It doesn't have to be a formal process. It doesn't have to occur exactly on or before your birthday. And it doesn't matter how long it takes to complete. A personal audit is simply a starting point. It is a place to meet God and share with Him the desires of your heart, the goals you wish to achieve, the hopes you wish to happen. From there, you can digest His truth and seek answers. You can specifically see His workings in your life as you walk with Him and meditate on Him daily. I don't know why I felt compelled to share all this with you today, but I hope it has encouraged you to regularly audit your own life and seek a more intimate relationship with your Almighty Father and Teacher in areas exclusive and personal only to you. Also, I hope it motivates you to start moving forward - advancing your daily walk with Jesus. It is a starting point of what you can pray for... of what topics you can study and meditate on. You see, becoming a new creation in Jesus Christ is an immediate blessing of salvation and at the same time, a process through the workings of the Holy Spirit in your life. It is a moment-by-moment relationship with the One who knows us best... the One who wants us to know Him best. My hope in writing this, is that you see the value in blocking off time to invest in your own personal audit with God. He is ready to start working in your life. He is sensitive to start healing your hurts. He is willing to start guiding your steps. He is able to start changing your life. Will you share your needs with Him? Will you invite Him in and walk with Him rather than continue to remain a stranger to His way? Will you cast all your cares upon Him? He does indeed care for you. He wants your life to be purposeful and fulfilling and joyful and meaningful. In Him all things are possible. So, I encourage you to sit down. List it out. Share yourself with your God... and then go from there... together. Allow Him to consume your heart and mind every day and walk with Him. Your Teacher... your Father has the power to change your life. All things become NEW in His presence! This is your starting point. This... THIS is the day!